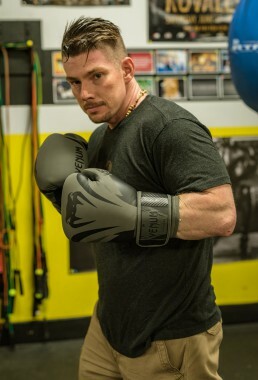 Justin has been helping fighters, athletes, and fitness enthusiasts reach their goals for years. 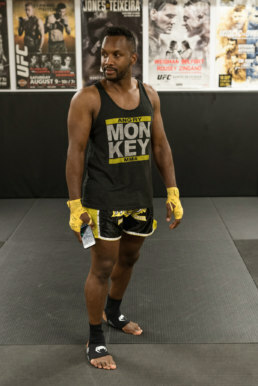 Whether he’s training his rapidly growing fight team or teaching group classes, his favourite approach is to blend boxing and Muay Thai with conditioning. 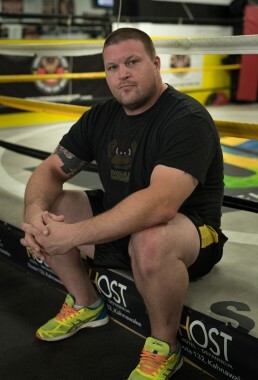 Known for his energy, passion, good sense of humour, and work ethic, Justin is a coach with experience in competitive grappling and mixed martial arts. He has travelled internationally to train with world-class coaches including Dickie Eukland, Sean Thompkins, Martin Kampmann, Mark Delagrotte, Mike Passenier and the legendary “El Guapo” Bas Rutten. Bas Rutten said of Justin: “It’s refreshing to meet people like Justin, people who come in to train and actually really want to learn and become better teachers.” Justin firmly believes that if a coach is not learning, he's not doing his job. That's why, whenever he gets the chance, Justin likes to travel and train with the best coaches in the sport. students have their own game and way of learning--guides his teaching. who can train intensely without injuring others. Conny is an amateur boxer in the classic sense of the word. She loves the sport. Since discovering boxing in 2009, she has boxed competitively and become a boxing coach. She has over 20 amateur fights already under her belt and these days is training with Canadian boxing legend Ian Clyde to build on her plans to go pro in the near future. What hasn’t changed is her love of boxing. As a teen, Conny tried a cardio class to lose weight and get healthier. The class wasn't what she was looking for but, at the same gym, she saw two fighters working pads. Once she tried the pads, she was instantly hooked. She asked them where the boxing gym was and the rest is history. She says that, “being the only girl at that boxing gym, it motivated me to prove to the other fighters that I can accomplish the same thing as them.” Conny says that she was often the last person at the gym because “for very first time in my life, it made me feel that I was in a safe place, it gave the power to believe in myself, to have a clear mindset.” What drives her to teach are students who want to learn more about authentic boxing, who respect the sport, and who enjoy being trained and pushing their limits. She knows that, no matter your size or weight or gender, nothing can stop you if you work hard enough and with enough focus on your goals. Boxing is the last combat sport Simon took up but it's the one that stuck. He loves the chess-like element of it and he enjoys learning about its long history, from the Ali-Frazier trilogy, to Mike Tyson's epic life. Most of all, Simon loves learning boxing itself. This learning took a giant step forward in 2014 when he first travelled to Cus D'Amato's KO Boxing Gym, home of the famous peek-a-boo style. Currently, Simon is a level II boxing instructor with the FQBO and says that, "Boxing is truly a cerebral and psychological sport where you play chess with your opponent." He loves how it makes him try to outdo his adversary by trying to figure out his next move. For Simon, he says, "boxing is not about fighting but self-discovery, self-control, self-discipline and self-mastery." He believes that anyone from any age, gender, background or social status can benefit from it. One of the beautiful things about boxing is that you don’t have to fight to enjoy the benefits of it. He points out that many people take up the sport just to stay in shape. In the end, he says, "it takes heart and smarts." Hayden holds a brown belt in BJJ with Brazilian Top Team. He discovered MMA in high school and fell in love with the sport. It was when he fought at the amateur level for a couple years that he realized that he was a natural grappler. In university he switched to pure BJJ. For Hayden, there are always more details or strategies to learn in BJJ and he always finds something new. He says, "it's the perfect balance of the physical and mental." For him teaching makes him think about why he does what he does and keeps him developing a deeper understanding of it. The moment he sees students click with a drill, whether in training or competition, makes it all worthwhile. Hayden knows BJJ is a challenge but he also knows that students that "listen, show up and try hard regardless of skill or talent" are the ones that make the best progress. Ben started his martial arts journey as a boxer and before long excelled at the sport. A little while later, a friend persuaded him to try Brazilian Jiu-Jitsu and he now cannot imagine his life without it. 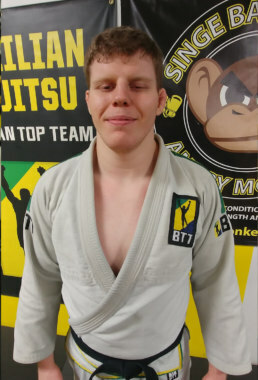 Through BJJ, Ben has learned a great deal of compassion, particularly for those who are often misunderstood or seen as misfits. 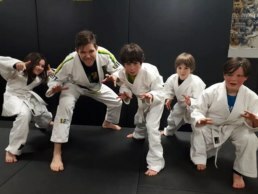 When he started teaching, his passion for jiu-jitsu showed itself as a passion for helping children and teens understand and grow with the sport. As a teacher, he is known for his patience and sweet demeanor. But don't underestimate him. 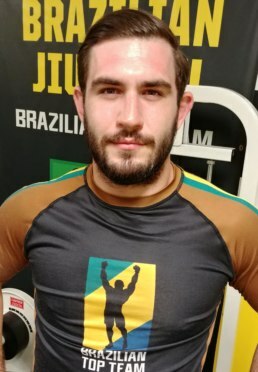 Ben has proven himself in high-level competitions in both boxing and BJJ and he now holds a brown belt with Brazilian Top Team. He says he teaches because he wants to pass on what he has learned, give confidence to children who might have experienced bullying, and because he knows how much he has grown as a person through his martial arts practice. Jason holds a purple belt under Fabio Holanda with Brazilian Top Team Canada. 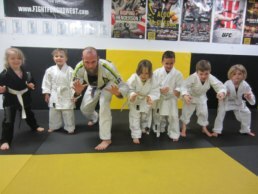 He has trained BJJ since his early twenties and soon began volunteering with kids' classes. Once he'd earned his purple belt, he started teaching the class. He says that his passion is in "retransmitting my love of the sport to younger generations, teaching through amusement, fun and proper knowledge of our techniques." Jason says he firmly believes in what Joe Rogan once said, that “it’s good for kids to learn complicated things.” With this in mind, Jason says his goal is to make sure his young students enjoy their time in the class, learn how to resolve issues and get out of trouble. With regular effort they will figure out the how, why, and when of the sport. They will learn to work together, to win with humility, and lose with their heads held high. Jason says, "the parents of my students have often said to me: 'I don’t know how you do it. How are you so patient?' To this, I usually reply, 'I have not forgotten what it was to be a kid. I’m here because I love doing this.'" All trainers are certified, experienced and have CPR and/or First Aid.